The Samurai, the knights of Medieval and Renaissance of Japan, have become part of the world's popular culture. The imagination of people around the world has been captured by these great warriors and their strict code of honor. For several centuries the Samurai were at the center of Japanese culture and civilization. Famous Samurai dominated the nation's history and shaped foreigners' views of the country. The values of the Samurai became the values of Japan and formed the basis of its government and national identity. Today both Japanese and non-Japanese still marvel at the exploits of the samurai and admire their courage, honor, strict discipline, and ferocity on the battlefield centuries after they became history. The best way to understand the samurai is to examine the famous samurai names and their impact on history. Some of the most famous Japanese Samurai are listed here. Nobunaga is regarded as the man who started the unification of Japan in the 16th century. 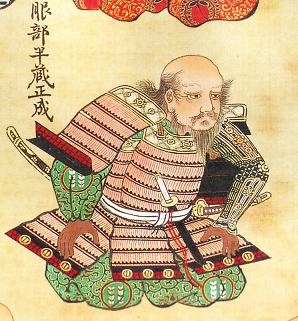 Nobunaga lived a life of military conquest and was a well-respected military innovator who increased his army's firepower by adopting firearms. Nobunaga rose from a rebellious youth to the ruler of one third of Japan and became the nation's most feared warlord in the process. Nobunaga's most important role was to create the military and other resources that his follower Toyotomi Hideyoshi later used to unify Japan. 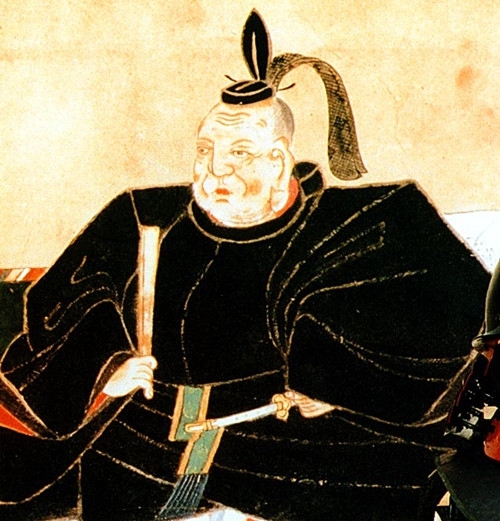 Nobunaga died like a true samurai: he was forced to commit suicide by one of his own Shogun, Akechi Mitsuhide, in the notorious Honno-ji incident in Kyoto. Hideyoshi was the man who completed the work that Nobunaga started by unifying Japan. He was also the one who established the samurai's importance in Japan by decrying that only the samurai class could bear arms. Hideyhoshi rose from obscurity by serving in Nobunaga's army and eventually became a sandal-bearer or aid to the Shogun. Hideyoshi never claimed the title of Shogun, but he served as Japan's absolute ruler from 1585 until his death in 1598. Hideyoshi was also a very ambitious man: he wanted to conquer Korea and China. Those efforts failed when his armies became bogged down in Korea. 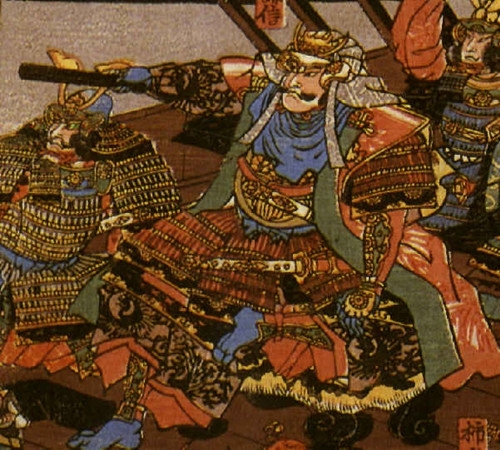 The armies were withdrawn after Hideyoshi's death, and he was the last Japanese leader to wage a foreign war until the 1890s, four centuries later. Hideyoshi made a number of contributions to Japanese society, including a census, the abolition of slavery, and the creation of the tea ceremony. Shingen was both a powerful warlord and a Buddhist mystic; Shingen was actually his dharma, or Buddhist name. Despite his faith, Shingen was a feared warrior who was known as the Tiger of Kai. He was also an accomplished poet and a ruthless politician who seized power from his own father. 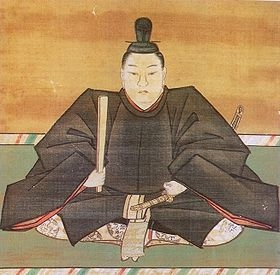 Shingen engaged in a famous feud with another warlord, or Daimyo, Nagao Kagetora. In true Samurai fashion, he once fought another famed Shogun, Uesugi Kenshin, in one-on-one combat in the center of a battlefield. Shingen died in mysterious circumstances after winning a battle in 1572. The cause of death isn't known: a sniper, an old war wound, and pneumonia are all given as a cause of death. Known as the one-eyed dragon, this feared warrior was also a well-known patron of culture and one of the few Daimyo to show respect to Christians. The ruler of the Tohoku region, Masamune, was the first Japanese to try to establish direct contact with Europe. He built a European style ship called the Date Maru that became the first Japanese vessel to sail to Mexico and Europe. Its crew even visited the Pope in Rome. 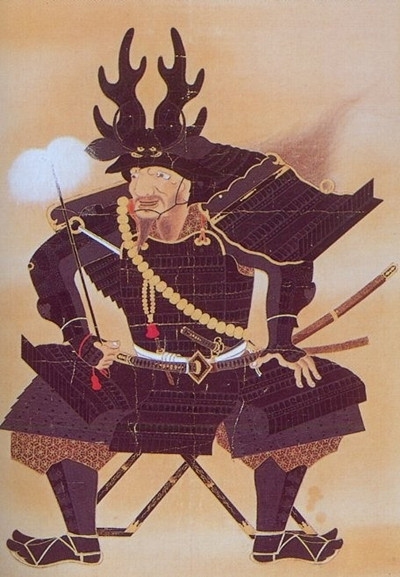 Masamune founded the Japanese city of Sendai and is one of the most famous Japanese Samurai today because he is often portrayed in Japanese movies and TV shows. Masamune was also one of the few samurai to die in bed of old age. Tokugawa was the most powerful and influential of all because he founded the Tokugawa Shogunate, which ruled Japan from 1603 until 1868. Tokugawa rose to power by backing Hideyoshi in the wars of the 1590s. After Hideyoshi crushed the last few independent Daimyo in Japan, Tokugawa became his adopted son. Interestingly enough, Tokugawa never supported Hideyoshi's invasion of Korea and kept his samurai out of the war. After Hideyhoshi's death, a brutal war broke out between a Daimyo named Ishida Mitsunari and Tokugawa. The war ended in the Battle of Sekigahara, the largest and most important in Japanese history, in which Tokugawa crushed all opposition. 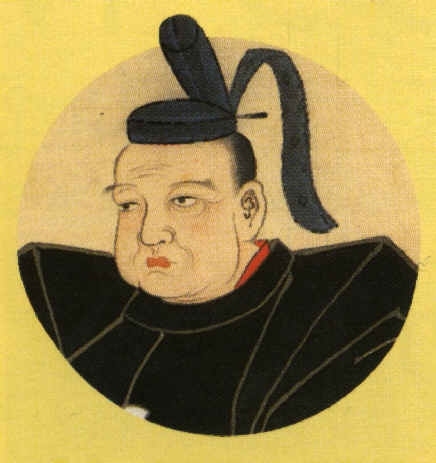 Tokugawa was named Shogun in 1603, a title his family held until 1868. Known by several names, Miyamoto was considered as Japan's greatest swordsman and perhaps the world's greatest sword fighter. He was also an author and philosopher who wrote The Book of the Five Rings, an important work on philosophy and tactics. Miyamoto fought and won his first duel at age 13 and spent his life wandering Japan and dueling. After defeating another famous swordsman, Sasaki Kojiro, in a duel in 1612, Musashi started his own school of fencing. Despite his violent life, Miyamoto enjoyed a peaceful retirement in which he became a famous writer and died in bed. A famous Daimyo, Kenshin is remembered today for his very honorable conduct and a legendary rivalry with Takeda Shingen. Kenshin was such a fierce warrior that many people believed him to be an incarnation or avatar of the Buddhist god of war, Bishamonten. He was sometimes called God of War and Dragon of Echigo. Kenshin was also a respected administrator of his home province of Echigo, who raised his subjects' standard of living. Kenshin was one of the few Daimyo who successfully resisted Nobunaga's efforts to consolidate Japan. He died in 1578 while assembling a new army to stop Nobunanga. There are two stories of Kenshin's death: one story is that he was assassinated by a ninja, another is that he died from stomach cancer caused by heavy drinking. Hattori was one of the few samurai who was also a ninja. A master of spear fighting, Hattori served as Tokugawa's body guard and may have saved his master's life on at least one occasion. Legend has it that Hattori may have had supernatural abilities. Hanzō became famous by refusing to follow an order to execute Tokugawa's son, Nobuyasu, who was accused of treason. After his retirement, Hattori became a Buddhist monk who built a famous temple. Hattori is one of the most famous samurai; he is featured as a character in many Japanese movies, TV shows, novels, and comic books or manga. A famous Shogun and Daimyo, Tadakatsu was one of the Four Heavenly Kings who served Tokugawa. 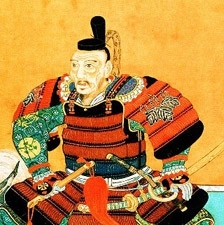 Tadakatsu was known as the warrior who surpassed death because he reportedly fought in over 100 battles and was never injured or defeated by another Samurai. A colorful figure, Tadakatsu wore a distinctive helmet with deer antlers on it and carried a famous spear called Dragonfly Cutter. The spear was so sharp that a dragonfly that landed on it was cut in two. A Daimyo of Satsuma Province, Yoshihisa led an interesting life. He supposedly married his own aunt at one point in his life. 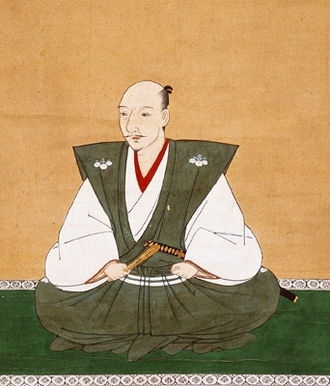 Yoshihisa was one of the Daimyo who resisted Hideyoshi's efforts to unify Japan. After being defeated by Hideyoshi's forces, he may have retired to become a Buddhist monk, but that may have been a smokescreen to retain rule over Satsuma and Osumi provinces. 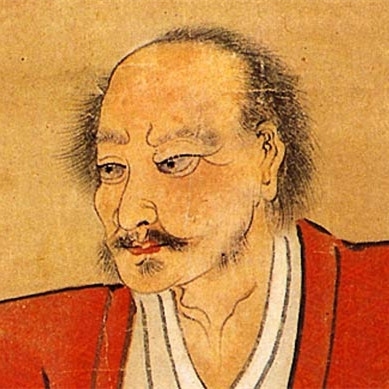 Yoshihisa outlived his enemy Hideyoshi and died peacefully of old age in 1611.